This could be anyone’s reaction on the 13th of December in Sweden. You wonder why? On that day it is Saint Lucia’s day in Sweden, a saint who is said to come from Sicily bringing the light into the darkness in Sweden. 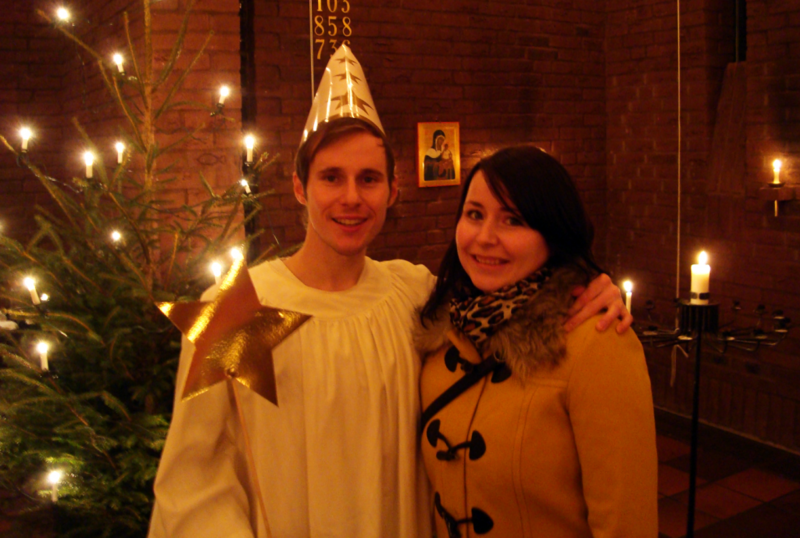 In Sweden then, many cities, schools and universities have Lucia parades, where there is one girl with candles on her head, and accompanying girls who hold candles, and boys with stars on their hats. Super cozy! On Sunday, Stämpus, the student choir of Campus Helsingborg were the Lucia parade in a church service in Helsingborg (even though it was 3 days after Lucia), where they sang the traditional Lucia song as well as other Christmas songs. It was so beautiful!! 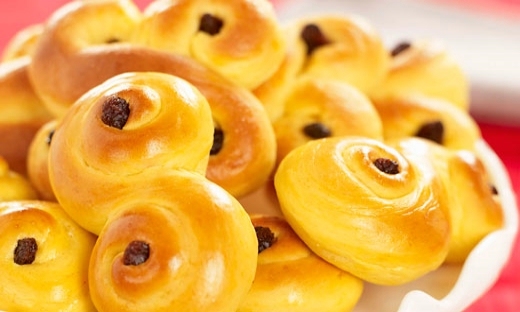 On this day you also traditionally eat “Lussekatter”, a bun made with saffron. If you are in Sweden around Christmas time, you should try to eat one – they are delicious! Otherwise you can bake them yourself (just google for a recipe). 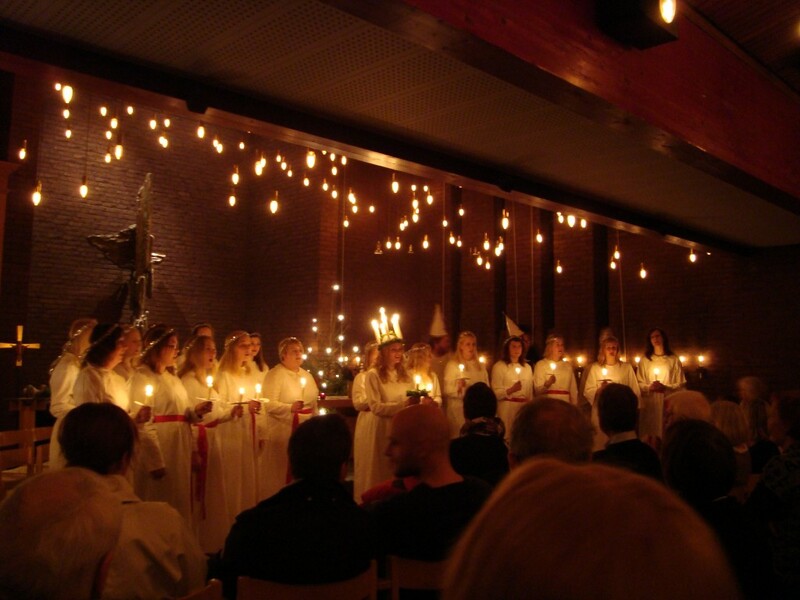 Det här inlägget postades i Studentliv och har märkts med etiketterna Lucia celebration, Lussekatter, Saint Lucia, Stampus, Stämpus Lucia, student choir, Swedish Christmas. Bokmärk permalänken.